Lake Water Wheel 7th Annual Fly-in set for Oct. 6 - Your Houston News | The 7th annual Lake Water Wheel fly-in is set for Saturday, Oct. 6. The event begins at 9 a.m. and will feature a barbecue lunch served at noon for 7 a plate. The community is invited to enjoy family fun and look at many different types of air planes. The army that saved the Superfortress - Lincoln Journal Star | A volunteer restoration crew at the Strategic Air & Space museum has brought one of the few surviving Boeing B-29 Super Fortresses back to life after six years and some 23,000 hours of work by the museum's restoration staff and dedicated volunteers. September 30, 2003: Lockheed SR-71 Blackbird Moves In by National Air and Space Museum, Steven F. Udvar-Hazy Center, Smithsonian | On September 30, 2003, the Lockheed SR-71 Blackbird moved into its new home at the Steven F. Udvar-Hazy Center. For many years, it rested in a storage shed at Washington Dulles International Airport. Today, it is one of the first aircraft visitors see when they enter the museum. (VIDEO) Pottstown Airport Community Day has kids... - The Mercury | Both women said Airport Community Day is a wonderful thing, especially for children who have never been up close to an airplane before. 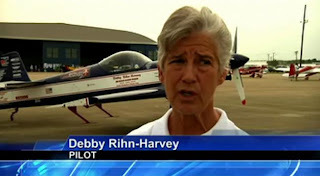 Bedrossian said she has loved piloting a plane with the Young Eagles, giving free plane rides to children ages 8 to 17. P-51 Mustangs in the air - The P-51 Mustang Video - "Sketches of Freedom"
30 Pictures: Pilots N Paws "Dog is My Copilot Rescue Flyway 2012" from The Kathryn Report by Kathryn | More than 300 dogs are being airlifted from Charlotte NC to various cities, including Jacksonville, where they'll be placed in no-kill shelters as a part of the Pilots N Paws "Dog is My Copilot Rescue Flyway 2012". Ten aircraft with 40 dogs, give or take an extra stowaway, arrived at Jacksonville Executive at Craig Airport in Jacksonville, Fl on Saturday September 29, 2012. More pix from The Reno Air Races from Julie in the SkyJulie in the Sky by Eric James Swearingen | Another Gallery of images from the 2012 National Championship Air Races and Air Show at Reno, NV. 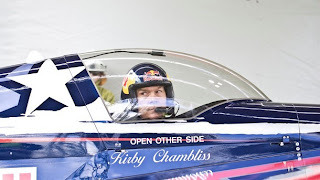 Plane rally a first for WA - inmycommunity | Matt Hall, from the Red Bull air races, will attend the event for a meet-and-greet with visitors. There will also be aviation workshops and a question-and-answer session with Jill Bailey, assistant operations manager at Recreational Aviation Australia. Airman missing from WWII identified from Air Force Link Top Stories | The Department of Defense POW/Missing Personnel Office (DPMO) announced today that the remains of a serviceman, missing in action from World War II, have been identified and will be returned to his family for burial with full military honors. Aéropuces 2012 from Passion pour l'aviation by Xavier Cotton | Aéropuces 20 and October 21, 2012 | For the 6th consecutive year, the Museum of Air and Space organizes its large flea aeronautics. Collectors, individuals and professionals find themselves under the wings of two Concorde Museum for two days of "treasure hunt" in a festive atmosphere. More than 60 exhibitors are expected to exhibit linear 300m. Free admission. This issue features air shows from the UK: RIAT, Farnborough, Duxford and Waddington, from the USA: Dayton, McCord and more. Also Maple Flag exercise from Canada, and others from Germany, Sweden and Belgium. 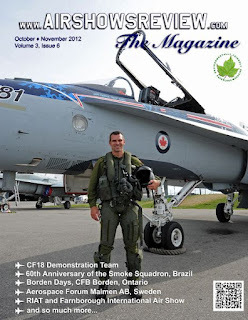 Enjoy the articles and great images such as about the CF-18 Demo Team. 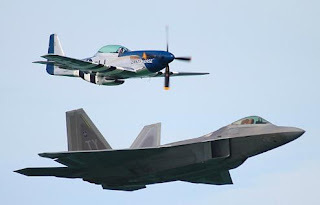 Check out our latest air show review from Airpower over the Midwest, Scott AFB. An Unforgettable Ride on the Blue Angels' C-130 Fat Albert by Tim Gray | A few weeks back I was asked if I'd like to take a ride on the Blue Angels' C-130 transport-aircraft the Fat Albert, at the Grand Junction Air Show -- I.
Centenary congratulations to the Royal Norwegian Air Force from Bayou Renaissance Man by Peter | The Royal Norwegian Air Force celebrated its centenary with an air show on September 1-2, 2012, in Oslo. 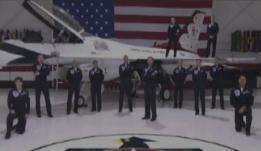 Back in July we showed an F-16 of the RNoAF that had been given a special paint job to celebrate the anniversary. It was part of a large number of aircraft taking part in fly-pasts to commemorate the occasion. 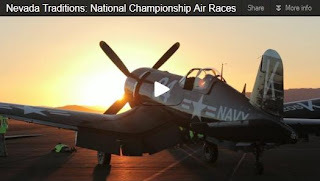 Here's a video of the fly-pasts, featuring aircraft ranging from historic to contemporary. Former CAP National Commander Elected President Of IACE Association Board from Aero-News Network | First Woman To Hold The Position In The Organizations 65-Year History Maj. Gen. Amy S. Courter, Civil Air Patrol’s national commander from 2008-2011, is the newly-elected president of the International Air Cadet Exchange Association Board of Directors – the first female to hold the position in the association’s nearly 65-year history. Deadline extended for Whirly-Girls scholarships from General Aviation News by Janice Wood | The Whirly-Girls International has extended the deadline for its 2013 scholarships to Nov. 1. The total worth of the nine scholarships is more than $45,000. Space shuttle arrives home for one last 'endeavor' from Air Force Link Top Stories | For the Edwards community who has been actively involved in NASA's Space Shuttle program since flight testing began in the 1970's, it was a bittersweet day when Space Shuttle Endeavour arrived one last time Sept. 20, piggy-backed on NASA's Boeing 747 Shuttle Carrier Aircraft. Well done Gentleman! Well Done! 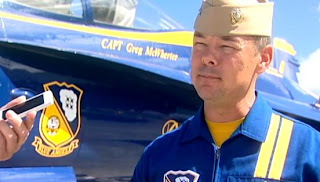 Photos: The Cocoa Beach Air Show - WESH Orlando | The Air Force came to town with one intention: to raise the bar and give the crowd something to remember. From the stunts to the skydiving,..
Yvonne Prettner Solon Skydives To Show Support For Military Troops (VIDEO) - Huffington Post | Prettner Solon joined forces with the U.S. Army Parachute Team, the "Golden Knights," in the skydiving endeavor. The AP reports that she called the jump an "exhilarating experience" after landing on the ground. Check out the video. Timeless Voices - Robert Landon from eaavideo.org | Robert Landon was a B-26 flight engineer and tail gunner with the 2nd Bomb Squadron of the 22nd Bomb Group, 5th Air Force during World War II. 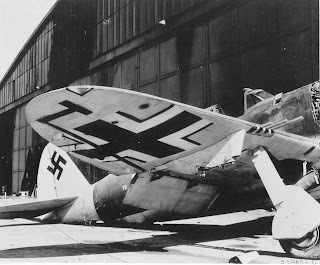 He was taken out of action after being hit by fire from a Japanese Zero on his 10th mission in May 1942. Never Too Young: Young Eagle/New Pilot Aims for Flight Career from EAA - The Experimental Aircraft Association | Last week we learned about Karl Klingelhofer, who at age 86 realized his lifelong dream of flying by earning his sport pilot certificate. 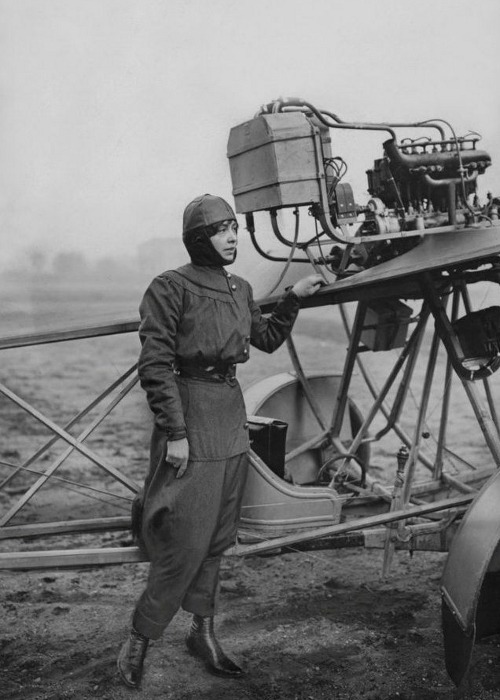 On the other end of the spectrum, Ellen McIlquham, EAA 1070776, from Chippewa Falls, Wisconsin, became a pilot this past August at age 18. Although their stories are different, they both show that the passion for flight can emerge at any age. Sedgwick County gives Wings Over McConnell a $10000 grant, won't use 'chalet ... - Kansas.com | WICHITA — Sedgwick County will support this weekend's Wings Over McConnell air show with a $10,000 grant but will forgo use of a special “chalet tent” where commissioners and other leaders could have enjoyed a catered meal and beverages. Canadian memories of the T-6 Texan from Bayou Renaissance Man by Peter | In July last year I wrote about the T-6 Texan (a.k.a. 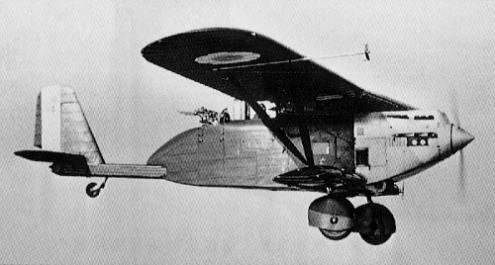 Harvard, shown below) in South African Air Force service. Scott AFB Air Show this weekend!